Formaldehyde is widely used in manufacturing of building materials, cars, plywood, polymers, glues and adhesives. It is also commonly used in household items as a preservative and disinfectant. Due to high toxicity and suspected carcinogenicity products are tested to determine free formaldehyde content and ensure the safety of personal care products and other items. Free formaldehyde testing is also important to monitor production of resins and other polymers and to ensure the quality of final materials. 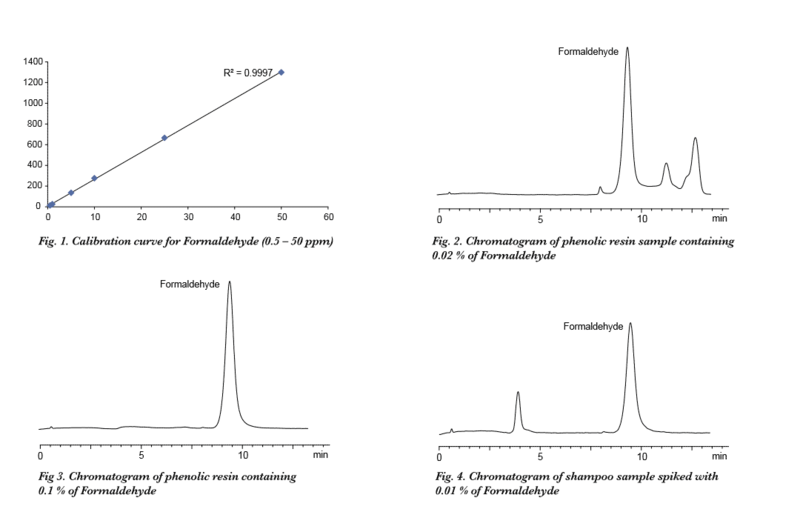 HPLC method with post-column derivatization allows for quantifying free formaldehyde in a wide range of products and materials, from shampoos to emulsion polymers and phenolic resins. The method is simple, selective and very sensitive. Potential interferences are either separated from formaldehyde on HPLC column or don’t react with post-column reagent and so are not interfering with the detection.